The issue seems to be the upper two states of the video card, state 6 and 7, the voltage and frequency. Can Asus please release another bios update for this video card that fixes the issue, the previous bios update did not fix the issue. This is not a helpful reply. I am trying to contact Asus about releasing a new bios to fix this specific model of video card, the issue is not just my video card, it is every single "ASUS ROG Radeon RX 470 Strix Gaming OC 4GB". Who can I contact about getting Asus to release a new bios for this series of card? From the looks of it this forum is just users trying to help other users. Would just like to mention that Asus has finally released a new bios for this video card and after using it now for a few hours it seems to have fixed the problem. For those with this card the bios can be found on the Asus website. Found in the Windows 10 tab under bios. Updated the bios and the issue seems fixed. However it was very disappointing to see that even though after a bios update was provided after a long time, the gpu throttling issue has still not been fixed. I own a Asus Dual OC 480 as well as Strix 470 OC. 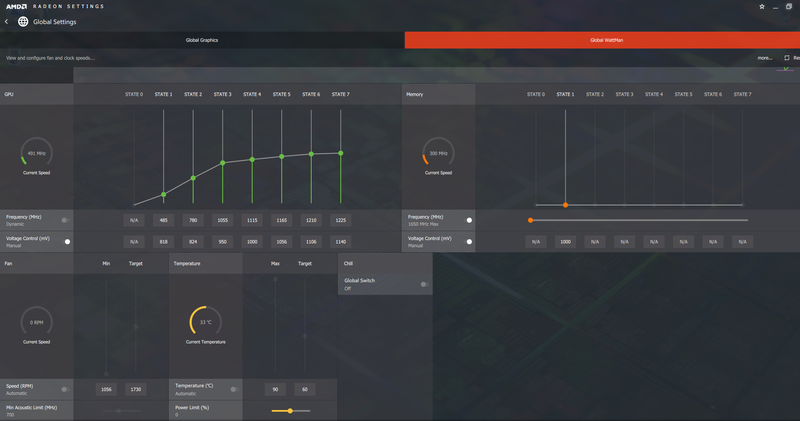 Even after increasing the gpu temp target to 75C via asus tweakII software, the gpu never goes above 69C and the clock speed is reduced instead. This kind of issue is not present in the 480 Dual OC but is there in the Strix 470 OC and also has been covered in various reviews. It seems very misleading for ASUS to advertise higher overclock (1270) speeds while it cannot even maintain stock speeds (1250). Please fix the issue or at least clarify due to what technical reason you do not want the gpu to exceed 70C. I've put in a lot of hours now and it has not black screened once.... this bios absolutely fixed that issue, Been playing Everspace and it's running smooth. Have you tried using Wattman instead of the asus utility? I set my target temp to 70 and it seems to be fine... although it is winter here and the card has a 120mm fan pointed directly at it, housed inside Antec 900 case... so it isn't really getting a chance to get hot. Last edited by James-Pro; 07-01-2017 at 10:57 AM. Hi, thanks for the reply. I increased the fan speed in the asus gputweak fan curve so that the gpu stays in the 65C range and does not downclock. I managed to find a workaround but most people would not have or wouldn't even know that their cards are being down clocked to 1200 Mhz on a card that claims 1250 and 1270 Mhz. I have had another lost connection to screen error with this new bios update... I was playing Fallout 4 at the time. I have reported it via the Asus registered product thingy also, seems the card needs further tweaking until it is 100% stable. Hi, I have the same problem, this can happens once a day or once a week, I dont know what is the cause, also I have a second graphic 470 Strix Gaming 4g (the version with out overclock), do you know if this card has the same issue? Hi... from what I can understand it seems to be just the OC model not the standard model. Have you flashed your card with the bios update? Here is a screenshot showing the settings.